If shareholders don't get a grip on companies' power there will only be more Tescos, says Banker's Umbrella blogger Jay Vaananen. Shareholder activism doesn’t get the respect it rightfully deserves. There are three stereotypes that come to mind when the words ‘shareholder activist’ are mentioned – and none of them are particularly flattering. The first conjures up an image of a bearded bloke wearing a ragged woolly jumper, sporting an even woollier beard and a CND badge, buying one share of a toothpaste producer and then having a rant at the Annual General Meeting about why the firm in question hasn’t done enough to save some endangered species of llama high up in the Andes. The second is that of a Gordon Gekko type - the Porsche-driving, Rolex-donning, Armani suit-wearing hedge fund manager trying to take over the company and then slice it up and sell it off, leaving nothing but ruination in his wake. The third is the retail investor who is a paid up member of the private investors’ share association of his/her respective country, and has the audacity to waste everyone’s time by asking about such trivial things as why the share price is lagging and why dividends are decreasing while the managing director’s bonuses are increasing. What all of the above have in common is that they are not looked on kindly by the financial establishment. A couple of them are often laughed at, but all are feared, some more than others. Ever since the high-flying 80s, corporate management has been successful in taking away power from shareholders, while simultaneously preaching the message of ‘shareholder value’ as their goal. The message has been straight out of George Orwell’s ‘Animal Farm’ and the execution of this strategy has been extremely effective. If you have a quick gander at the ownership of listed companies you will often find the largest shareholders are your standard investment and pension funds. These funds seldom take a stand on what the corporation is doing. In fact, often, their mandate forbids them from taking an active stand. They only vote with their wallet (well, your wallet actually). If they are displeased with the management, then they will sell shares, if they are happy with management they will buy more. Well that’s the accepted understanding… and it’s false. With so many investment funds being nothing more than closet index trackers these fund managers won’t do anything with their ‘investments’ except hold them. The result of this ever-decreasing shareholder involvement has resulted in a shift in power from the owners to management. With a large chunk of shareholders not taking any part in the affairs of the companies they own, and the remaining shareholders a widely spread out and splintered group, management has in fact taken full control of corporations. Power has been centralised. In the grand scheme of things it is the corporate boards that are supposed to represent the shareholders and keep a check on management. But such has been the evolution of corporate culture that, as shareholder power has decreased, boardrooms have been cross-pollinated by CEOs and managing directors from other corporations. The reality is that top managers are overseeing other top managers. Hardly a recipe for good corporate governance, nor is it a prudent use of a top manager’s time. So, what is the case for increasing shareholder power? The simple answer is: a compelling one. Society and shareholders both gain through better corporate governance. ‘A regime with shareholder power to intervene could greatly improve corporate governance,’ as one Harvard study puts it. In fact, firms that increase shareholder control, have a positive effect from a shareholder value maximisation standpoint. As an interesting aside, it’s not just shareholders and society that gain, also other stakeholders, particularly bondholders, who ‘benefit from moving to an acquirer with high shareholder power,’ according to Ohio State University research. Employees had acted illegally and top management had actively deceived the board of directors. It would be natural to expect the board to act swiftly and strongly in the interests of shareholders. In JP Morgan’s case no such action was forthcoming. It is a prime example of a corporate board’s inability or unwillingness to act, even in the face of historical large fines and clear negligence on behalf of top management. Very little was done and Jamie Dimon remains the CEO. Another example of a company board’s inability to protect the interests of its shareholders is Tesco. In September 2014, just a few weeks after new CEO Dave Lewis took charge, it was discovered that the supermarket’s management had been misleading investors for at least two years, overstating its profits by a total of £263m. The resulting scandal caused a crash in Tesco’s share price and raised serious questions about issues of corporate governance – so serious chairman Richard Broadbent eventually fell on his sword. Only a few months prior to the shenanigans coming to light the board had dismissed concerns raised by auditors about how profits were reported by the company. It took a whistleblower to reveal the truth. If shareholders take a more active role - scrutinising companies properly and demanding answers and even reform where necessary - the increasing trend of breakdowns in corporate governance can be turned around. If they don’t, we will continue to see more fines, scandals and spectacular corporate implosions. 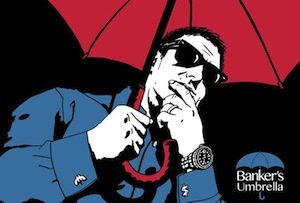 Jay Vaananen writes Banker's Umbrella, the world's most popular private banking blog. Catch it on Twitter @BankersUmbrella. Jay is also the author of 'Dark Pools and High Frequency Trading for Dummies'.